Spring arrives this week! Yes, it really does. I know it doesn’t seem like it if you’re still dealing with cold temperatures, snow, and ice. But spring is, in fact, upon us. ABOVE: Peridot courtesy Stuller Inc. Photo: Jim Lawson. And I couldn’t be happier—because I love spring. I love warming temperatures. I love flowers. I love longer days. But most of all, I love the reappearance of everything green. Green is my very favorite color. I wear it, I decorate with it, and most of all, I make jewelry with it. I like to use green stones as much as possible in my jewelry creations. Malachite, aventurine, chrysoprase, emerald, amazonite–I use them all. 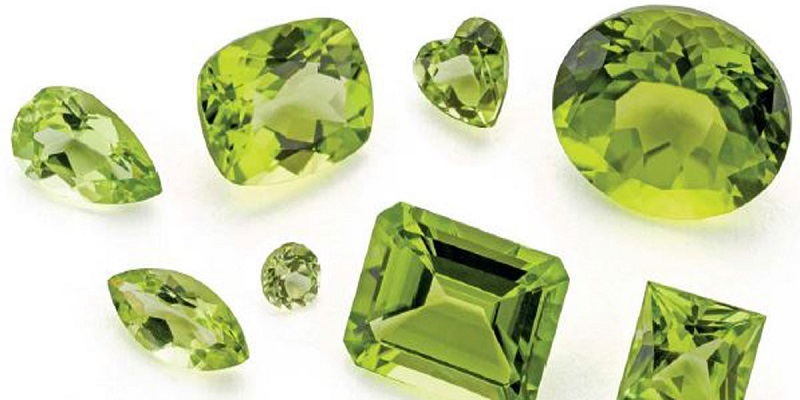 But one of the most beautiful green stones you can use for jewelry is peridot. And this lovely leaf-green gem happens to be the Smokin’ Stone for the March/April 2019 issue of Lapidary Journal Jewelry Artist. As Sharon Elaine Thompson relates in her Smokin’ Stones column, peridot has a long and varied history. It’s even mentioned in the Book of Exodus in the Bible. A lot of peridot was born in volcanoes and can be found in Hawaii and other places with a background of volcanic activity. And some peridot arrived on Earth from space aboard meteorites (which really appeals to the science geek in me). If you’re wondering what you can do with peridot, the March/April issue has you covered. It includes Kylie Jones’s fantastic “Fan Maille” earrings. 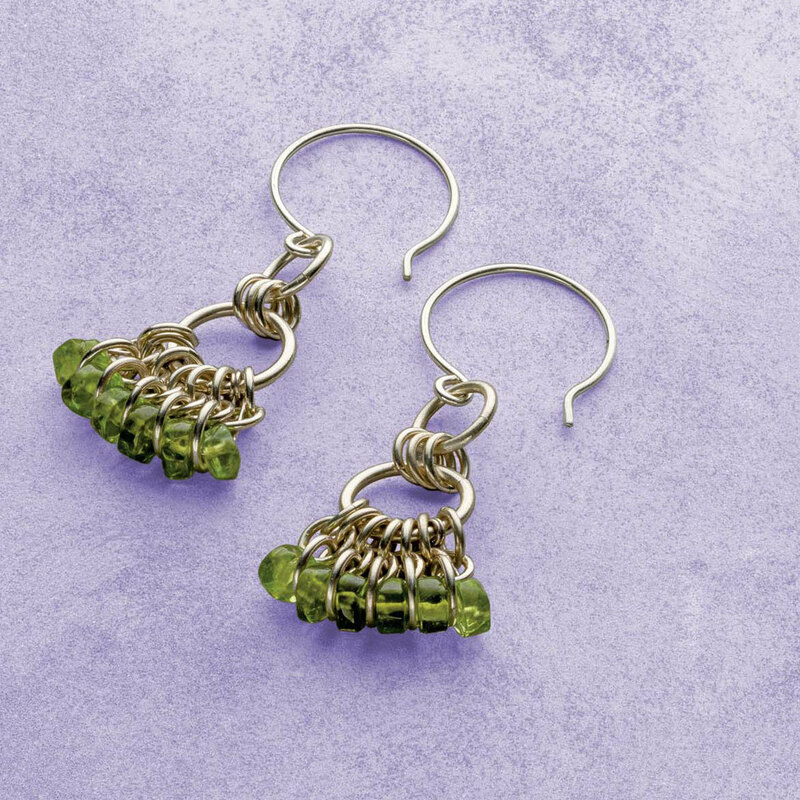 These dangly chain maille earrings use peridot rondelles paired with sterling silver jump rings and ear wires. It’s also a great project for practicing and increasing your chain maille techniques. And if green isn’t your thing, Kylie also shows you alternative designs with hematite, Czech glass, or blue sapphire. Me? I still prefer the green. Among the great things about the peridot Jim cut are the inclusions that stand out on the stone. Such inclusions are fairly common in peridot and really give this stone a special and unique look. There’s a lot more to the March/April 2019 issue of Lapidary Journal Jewelry Artist than just peridot, of course. Noël Yovovich shows you how to make a complex necklace design in “Take the Long View.” But she doesn’t stop there. She shows you how to simplify that design by keeping the main design elements while paring down the construction elements. Very cool! You’ll find other projects by popular jewelry artists and designers like Betsy Lehndorff, Denise Peck, Karen Lauseng, and Peggy Haupt. And don’t forget that this issue is the annual Education Issue. 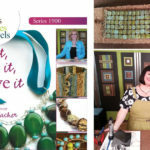 Terri Haag tells you all about the fantastic slate of jewelry-making classes sponsored by and available through the Tucson Parks and Recreation Department. And Sharon Elaine Thompson presents a thorough look at the latest trend in jewelry making and education: maker spaces. 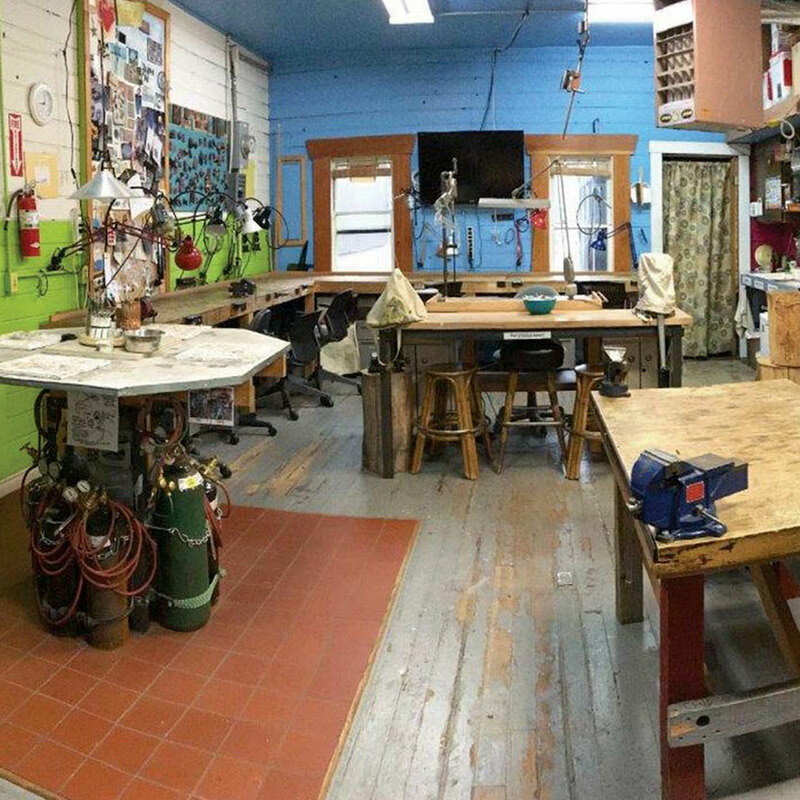 She shows how maker spaces like Danaca Designs in Seattle; ADX in Portland, Oregon; Framingham Maker Space in Framingham, Massachusetts; and others make it possible for jewelry artists to learn, explore, and practice their craft affordably and in conjunction with other artists. Download your digital copy of the issue today. And go green! 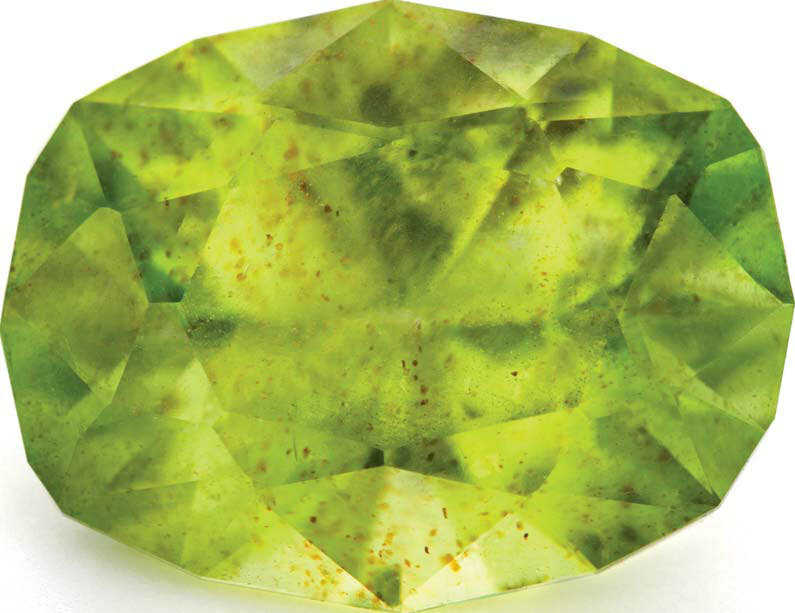 Learn about peridot and other gemstones with this issue and more!